Metafilter post on the true story behind the movie. 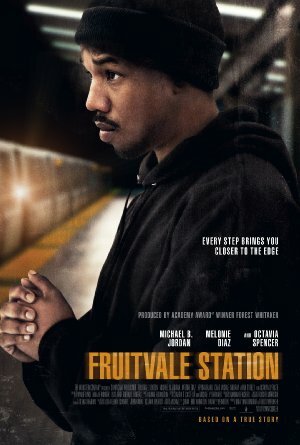 I found this really affecting, and Michael B. Jordan was great, I thought. The approach of just following him through a day in his life was powerful for me, because what looked like it could be any random day turned out to be his last day, making his death seem all the more senseless. I also found myself having compassion for the officer who killed him, which also made the film more striking for me, since it wasn't as easy for me to chalk it up to one bad officer; it was as if this was always going to play out the way it did, whether it was Oscar who died or someone else. Steven Greydanus's article on the film and his reflections on Eric Garner. This movie is just devastating. I can't even think about it. This was one of those movies I went into with an "I suppose I should see this Important Depressing Movie" mindset, and came away stunned at how beautiful and full of life it was, even as you know it ends in tragedy. It's a wonderfully made piece of art with a number of powerful points, and I recommend it to folks all the time. It's such a beautiful and devastating movie. But I loved the small moments that were just as telling about the state of race relations in the US today: the running joke between Oscar and his sister about the birthday card with a white person on it, and even more subtly, when Oscar runs into the young (white) woman at the seafood counter and... she takes a half step away from him when he first talks to her. Those two moments really got to me. It was especially intense watching this movie here in Oakland. Much (all?) of it was shot on location at the grocery store, park, streets and of course BART station where he really worked, hung out and died. Places I also frequent. Beautifully soft spoken film about America's war on black people.